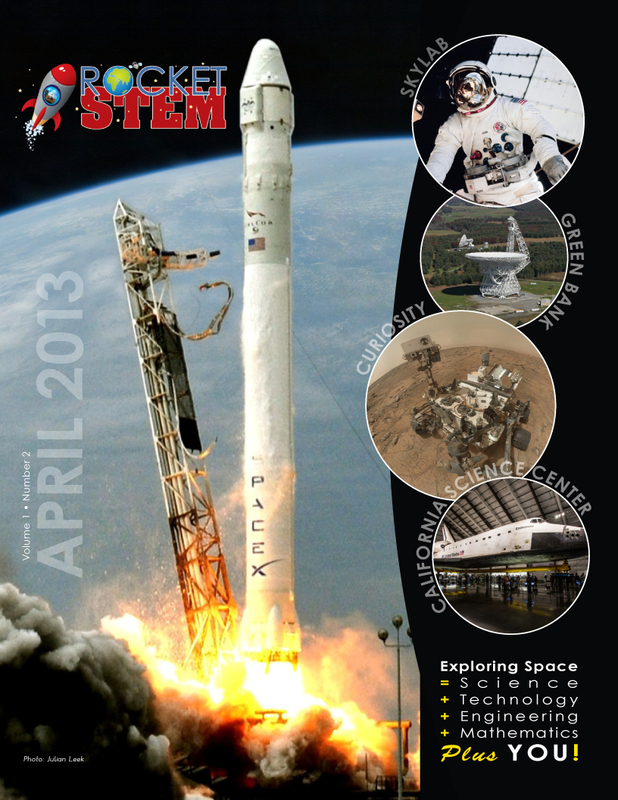 The second issue of RocketSTEM magazine, promoting space exploration and STEM education efforts, is now available to read online for free. • The Curiosity rover has definitive proof that Mars was once hospitable to life. If life ever existed remains unknown. • An interview with Green Bank’s Dr. Jay Lockman as we take a look into the life and work of an astronomer. • A look at the launch of the SpaceX CRS-2 mission to the ISS, as seen from atop the VAB. • One-on-one conversation with Skylab astronaut Ed Gibson. • The story behind the effort to repair Skylab, a mission that gave NASA the confidence to construct the ISS. • Ride along with the members of the 920th Rescue Wing as they clear the danger zone before a rocket launch. • Visit the California Science Museum and stand alongside Space Shuttle Endeavour. • And much, more more. Sixty-four pages of pure content. No advertising. With the primary mission goal now accomplished, Curiosity gears up for more science. There’s a lot more to Dr. Jay Lockman’s career than simply staring through a telescope. Once again, SpaceX has made a delivery to the ISS, and returned samples back. Ed Gibson reflects on his time as part of the last crew of America’s first space station. The successful repair of Skylab proved astronauts could work in space, which led to the ISS.